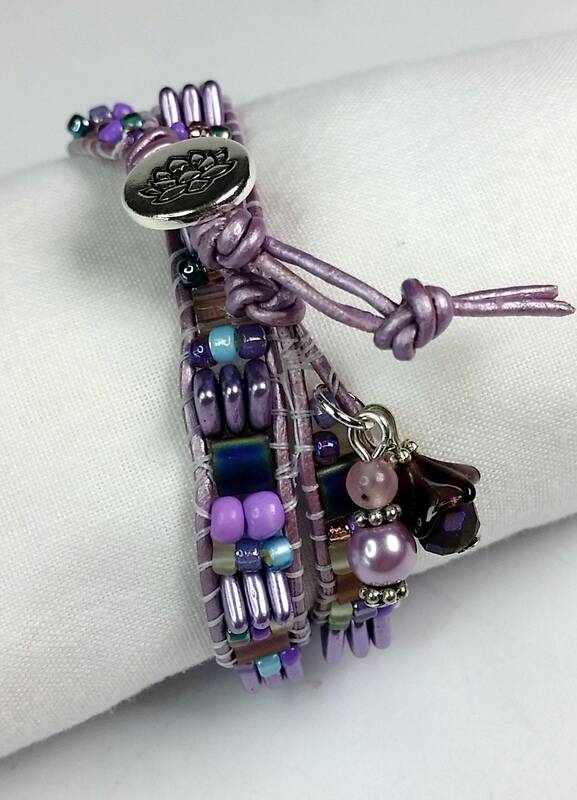 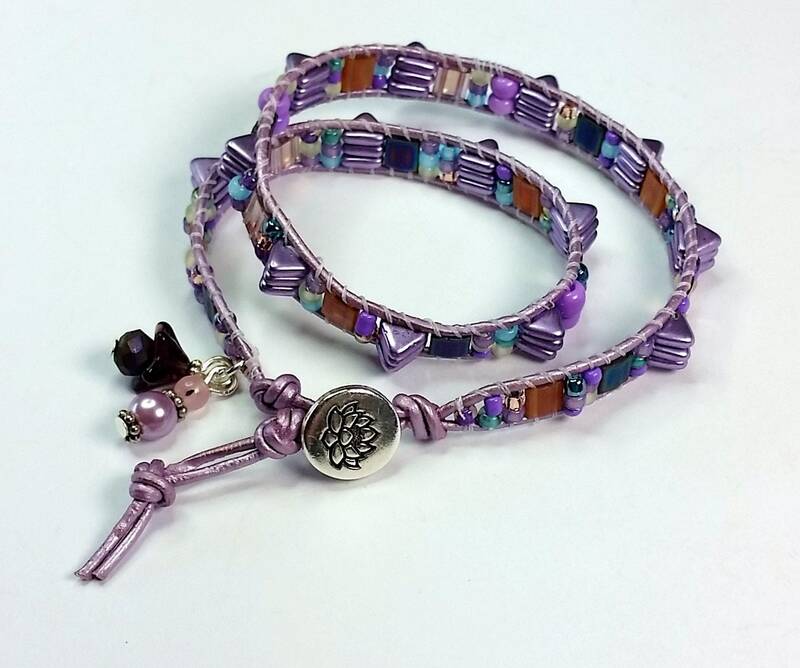 Who Spiked the Bracelet is a lilac colored leather double wrap bracelet. 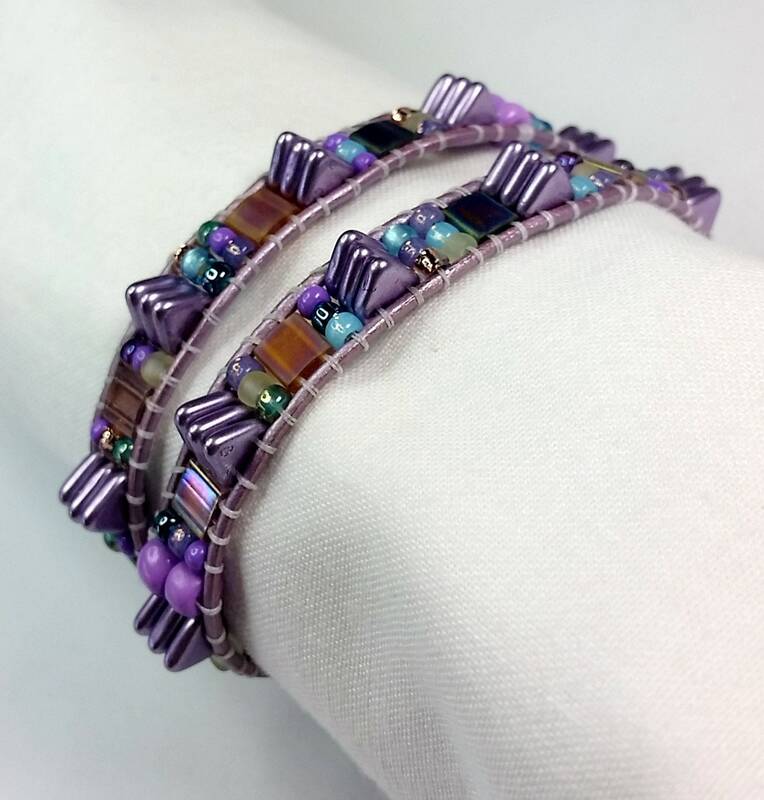 It feels smooth as butter on your wrist and yet has tiny spikes made of trios of smooth triangular beads. 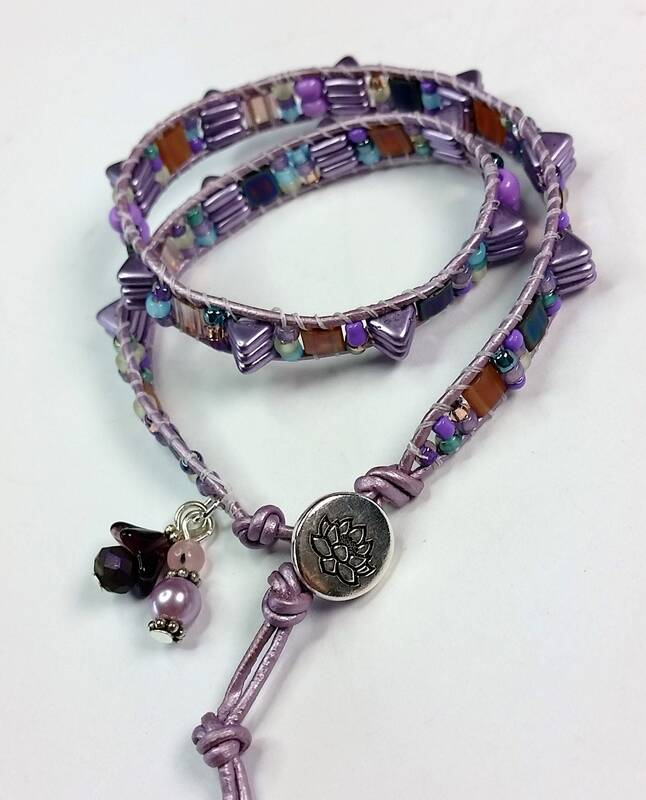 The triangles/spikes and leather are the same lilac color, and other beads between the spikes are in a range of complementary hues. 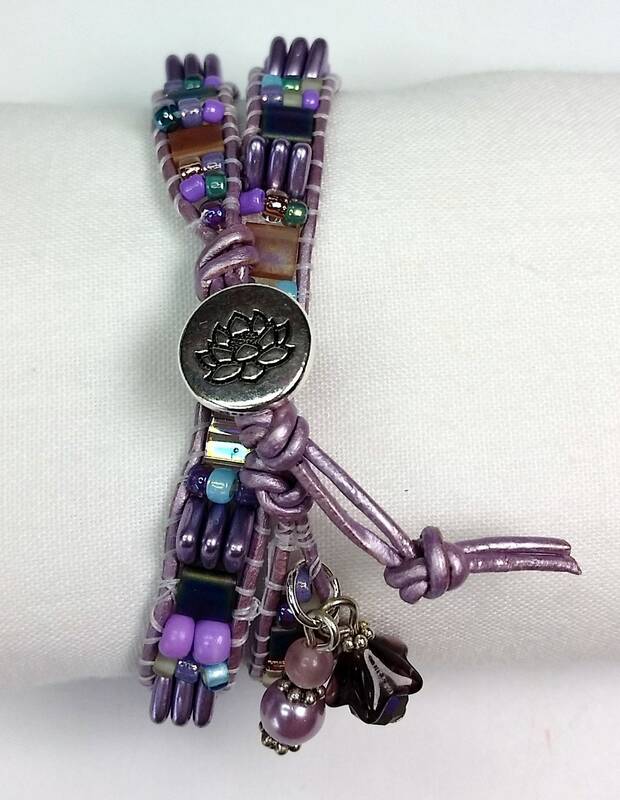 The clasp is a Tierracast silver metal button 7/16 inch in diameter with a lotus flower motif. 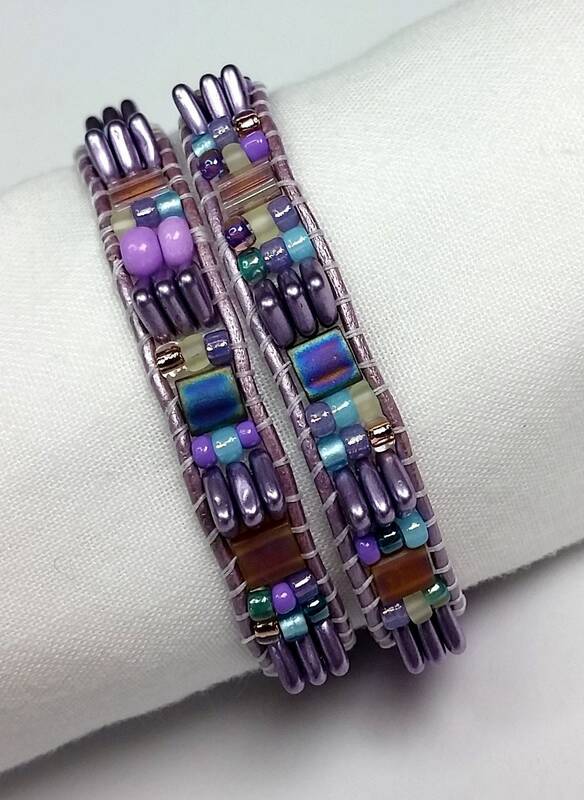 There are two loops at the opposite end of the bracelet making it adjustable. 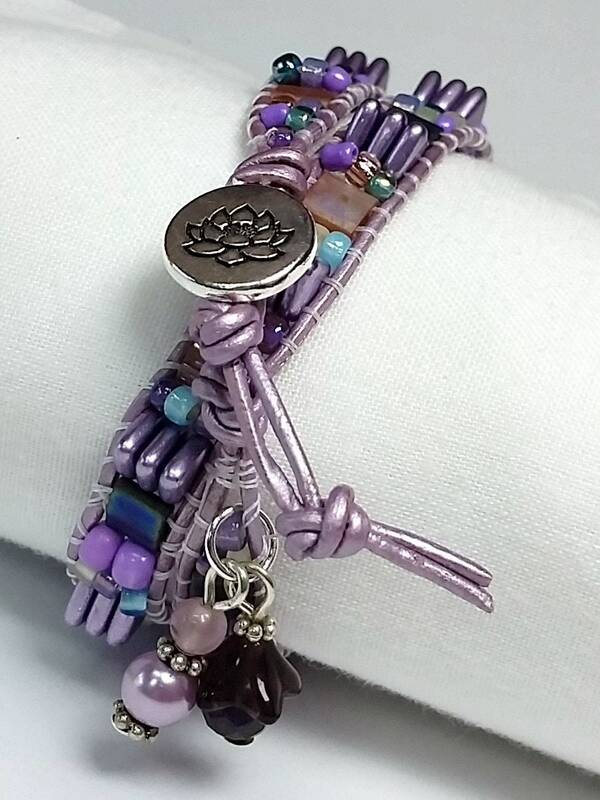 This will fit a small to average wrist sized approx. 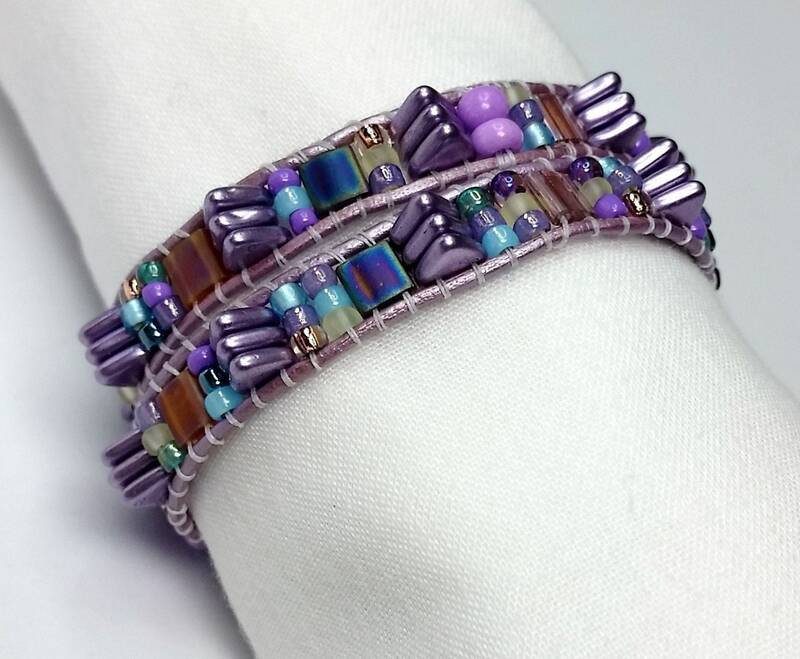 5.75 to 6.75 inches in diameter. 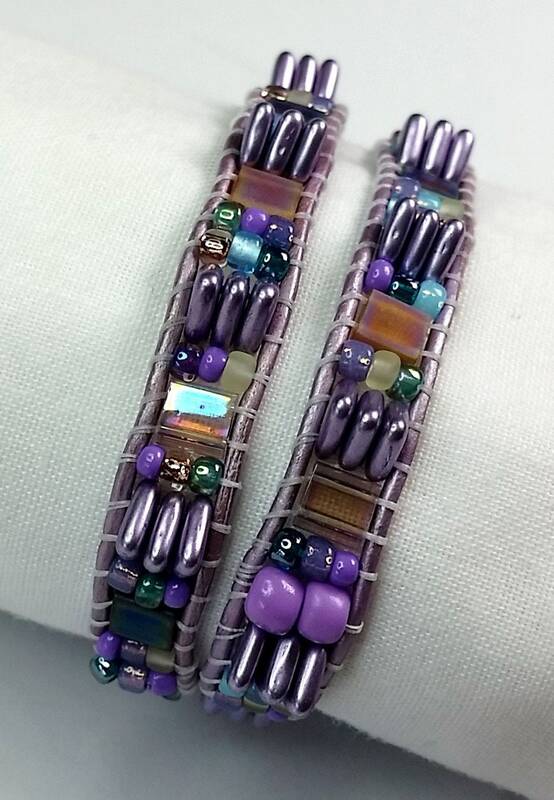 Two dangles near the button clasp reflect the colors of the bracelet and add a little something extra! 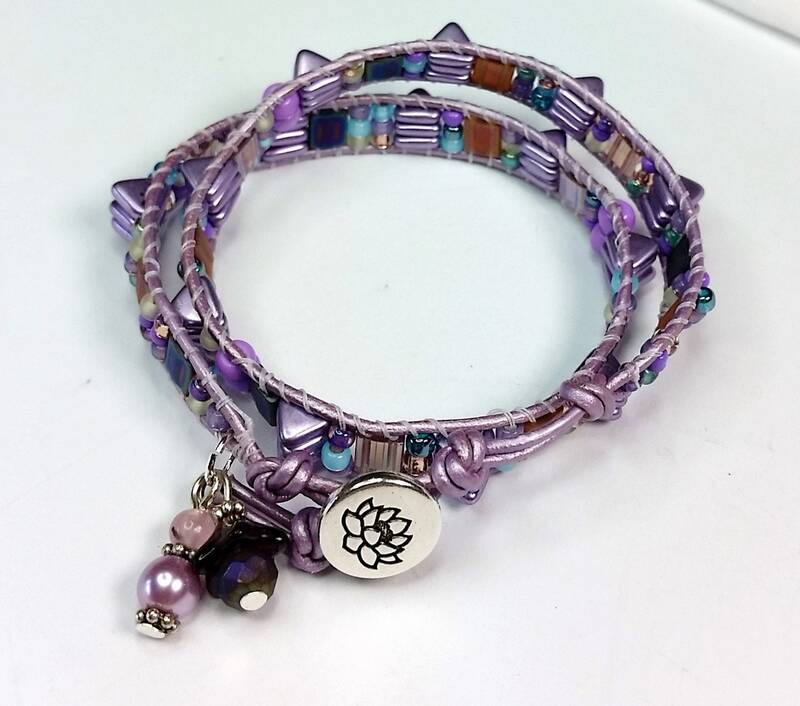 The lilac color is both feminine and royal - a bracelet for a powerful princess or just someone who loves muted purple tones!